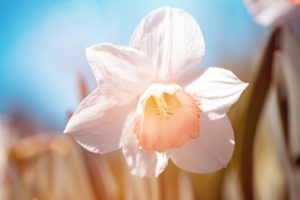 August 31st this year is Daffodil Day in New Zealand. This is a day to help support and contribute to the Cancer Society and all of their efforts in funding research to better understand and treat cancer. Most of us will have a personal connection with cancer whether it is ourselves, a family member, a friend or a colleague – all of us know someone who has had to battle cancer. It is thought that as many as 1 in 3 individuals in New Zealand are affected by cancer – it’s important to remember that entire families are affected when one individual is diagnosed. Psychologically, we go through a process of grief when a diagnosis is made and this can affect several individuals within a family or community. A diagnosis of cancer isn’t always terminal, but it can still have a lasting impact on both the individual diagnosed and those who are close to them. A terminal diagnosis is always difficult to come to terms with. In this article we are going to focus on the caregivers and loved ones of an individual who has a cancer diagnosis rather than the individual themselves. It is easy to forget our own needs when a loved one is battling cancer, however, if we don’t look after ourselves then we can’t help them – you can’t pour out of an empty cup. It’s important to acknowledge that you have a grieving process about a loved ones’ diagnosis, just like they do. It is ok to be angry, upset, emotional, stressed and any other emotion that is felt. Often as a caregiver we will hide our own emotions in an attempt to ‘be strong’ for our loved one. Chances are, they recognize these emotions in you as they are going through them themselves and sometimes – it can be just what they need to know that they are not experiencing these emotions by themselves. Medical updates – one support person attending all medical meetings, and being responsible for asking any questions of the medical staff as well as updating family and friends on any progress. This saves the medical staff time and energy repeating answers to multiple people but also streamlines the line of communication with any medical staff. This will also ensure everyone important is informed of significant information in a timely manner. Finances – one support person to ensure all bills are paid on time, the family is living within their means and sticking to budgets. This person can also liase with any relevant insurance companies etc. Schedule – one support person to ensure all appointments – including medical appointments are adhered to with no double bookings. A spouse or partner often is responsible for all of these tasks however, with illnesses like cancer, things can sometimes take an unexpected turn and it can be difficult to keep on top of everything so assigning roles to those trusted family and friends who are willing to help can ease the stress. Preparing family and friends about what may occur can be an important step. Have regular family meetings where open communication about current treatments, side effects and medications can occur. By knowing in advance that a loved one may become frail, lose their hair, be vomiting regularly etc. we can better prepare for those occurrences and can have some time to process the emotions of seeing a loved one in such situations may be beneficial. This also gives the opportunity for family and friends to organize social situations which are able to be attended by unwell loved ones. For example, if an individual has a weekly dinner at a restaurant with friends – this can be reorganized to a stay at home movie night where the loved one has access to their home comforts and required commodities which is much more manageable but allows for social interaction if desired. If family and friends are part of the organization of these events – they may be more understanding if they need to be cancelled due to the loved one being too unwell, emotionally or physically tired. When a loved one is diagnosed with an illness such as cancer, it can have lasting effects on many members of a family or community. It is imperative to remember that communication is key. Sometimes seeking professional support for yourself and those around you can be vital. Psychological and emotional issues may be ongoing and can have a lifetime effect, therefore reaching out for professional support can be the best way forward.